I am a British Visual Arts graduate interested in everything and anything. I don’t want to go into my Life story and although interested in politics, I don’t want to rant about them, there’s too many blogs doing that….. oh, and I haven’t got a dog, so that’s that. When I get some time I will add all the stuff that does interest me. Update 11 months later;- I have introduced lots of new categories since I started. I’m not doing much art these days, but my interests still lie in that field. I like to read, I like to create, I like to write my blog, I like to watch, listen, cook, socialise, go for little breaks, explore, and I still haven’t got a dog! Still here, still blogging, doing more art work – need to put it on here really. Still not smoking (not 2 years yet). Still creating, still watching, reading and listening and STILL haven’t got a dog. Update: Now added the ‘Echostains’ concept as a lot of people don’t realise that is it actually an ongoing project. I have more gallery images to add – but I shall do this a bit at a time. I welcome comments as long as they relate to the subject written about. I will answer all reasonable comments but I won’t bother if I find that the sender is using my space for free advertising. For example – this is an art site, why would I be interested in advertising pension schemes or totally unrelated items? Well, I did what I set out to do, that is to blog every day for a year. And I’m more or less still at it 9old habits die hard). I keep saying that there will be big changes around the blog, but I can’t seem to find the time to get round to it. I would like to make it clear to commenters who leave abusive comments or other commenters who it is clear that they haven’t read the actual posts they are commenting on – you will not be published or acknowledged. Whilst I appreciate all comments, I don’t intend to waste my time or space on negative people. There are plenty of forums in which to banter insulting remarks. I suggest these people get a blog of their own and put some work into it, it’s a good exercise for working off resentment and anger…..
Aw thank you! Glad someone is reading it! I found you looking for other interesting teapot makers. You’ve put together quite a nice collection of work. Thanks! Thanks Adrien! Just been looking on your blog, you have some nice work on there, regarding your interest in cats and Egyptology: have you ever seen a film called ‘the Cat people?’ (old film) quite inspiring. Also like the paint chips and the layering. I relate to the excavational which is what my art work is about, (the echo and the stain – communication) Will visit again! Echostains.. You are Lynda? Well, anyway, you have a great blog going here. And I see that you’re a visual artist. Let’s see some of it, sometime. How about this… I haven’t been too forthcoming about my own visual art background in my poetry blogging world. So I’ll “fess” up to it. http://www.robertterrell.com. I’ve had this website of my visual art now for almost 6 years. And I finally “broke” it. Hello there Robert! I’m working on yet another blog for my art, not finished yet. I did put some on here, but a lot of people are not into abstract art, plus there was a lot to go into how the pieces came about. Another space seemed a good idea.. The echostains concept is communication through different media (the original project) the ‘stain’ was the art and the echo was what it communicated to the viewer. I have put the project into galleries with explainations of each picture,. I will get round to putting into a cohesive blog ……eventually. 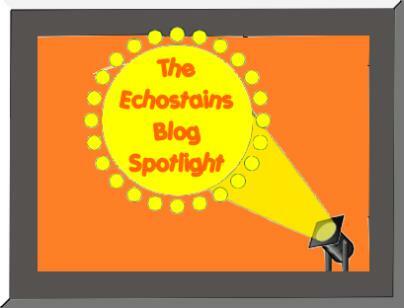 I did have a website at one time called ‘echostains’ but that packed in, so I will be starting from the beginning again with the blog. I am going to have a look at yours Robert now! Thanks for visiting! Echo..I like that you respect art, its history, books, and culture in general. I think in a mild way, this does say something about your politics. Thanks artistatexit0! I suppose it does. Art is all around us, even in the rivers (which you have proved!) We must keep it alive (not that it needs much help 🙂 ) Thanks for your visits and valid comments – appreciated! a very fun, mixed bag of an attractive site. I love yr varied interests and visuals. I made you a fave so that i might return from time to time. lovely blog about art, maybe you need check out my friend jeques from chicago. he’s also a good painter artist. and pablo, a modernist painter from nihilist art movement. i try to rekindle my painting, but i’ll have to start with the watercolor. Lynda, Haven’t had a chance to check out too much here, but will. I just have to say, though, that I am very sad that you STILL do not have a dog. My day would not be complete without my cute, loveable, little cockapoo greeting me when I get home. Hheheh the dog is a suggestion by word Press regarding to what to write about:) Please go for the Van Gogh challenge Linda – everyone is a poet at heart! OR look at a few Haikus 5 words, 7 words, 5 words – just do whatever you feel and I will put it on! look forward to seeing it:) and thanks for visiting – appreciated! Sounds interesting richlakin – and intriguing! Blake is so dramatic and enigmatic, he would make a great eccentric detective himself:) You might well be on to something there! Cheers! Thanks, any and all help is greatly appreciated. Not really sure what I am doing on here, but I am trying. As long as it can be an outlet for me it is doing well in my book.